No. 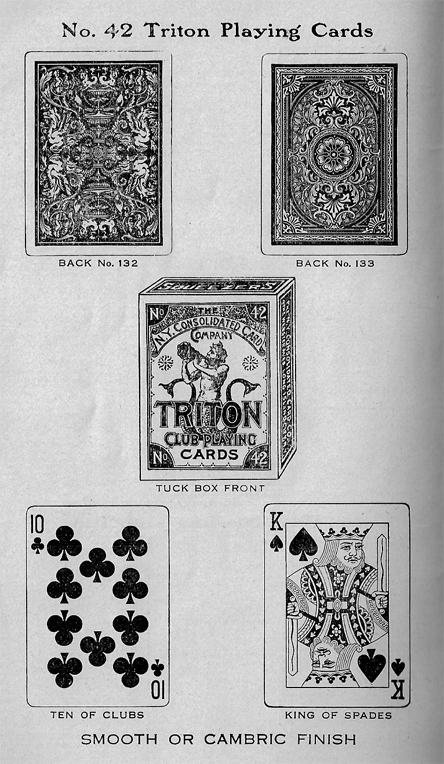 42 Triton Playing Cards were manufactured by the New York Consolidated Card Co. The illustration to the left is taken from Hoyle's Rules for Card Games, 1928 edition published by the New York Consolidated Card Co., Long Island City, N.Y. Note the term "Squeezers" on the top of the box. Triton cards were manufactured with Back Nos. 132 and 133.